The pops of colour coming through at the moment are absolutely breath-taking and all I want to do (yes, can y0u believe it!?) is add these stunning pops of colour to my usual all-black outfits. The SS17 trend that I cannot get enough of is this real tribal feel and mixing it with softer tones allows for a nice paired back look that is classy and elegant – not in your face. 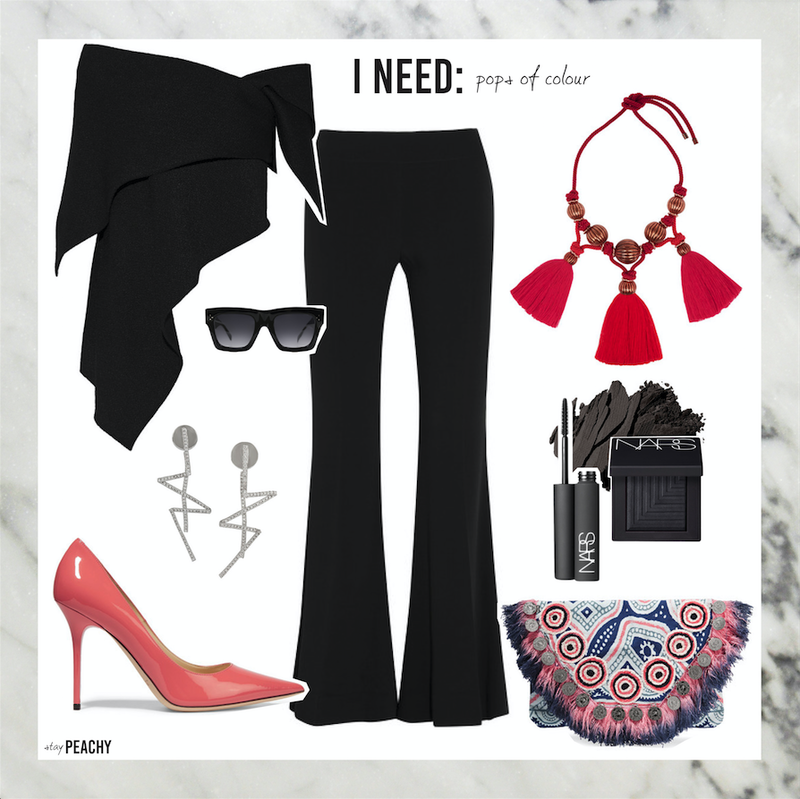 I just need this top, and these pants, and this necklace, and this bag, and these shoes… And ahh… Everything!! What’s your thought on this tribal trend coming through? Do you need a particular piece or do you need the whole outfit like me? O M G LOVE the shoes!!!!! I NEED that top. Really loving your blog!